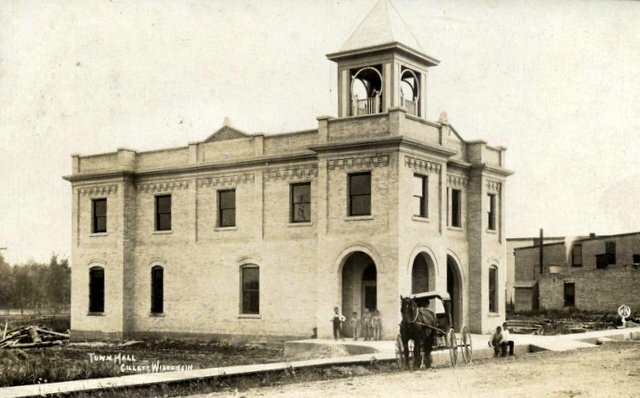 The Village Hall was built in 1908, and provided room for the fire equipment on the first floor with steps leading from the inside up to the second floor which housed the library for many years. The bell at the top was rung for the fires. Currently only the lower half of the building still stands and houses offices and the Firehouse Barber. 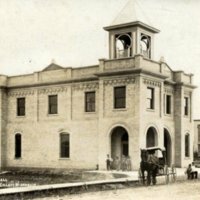 “Gillett Village Hall, East Main Street,” Recollection Wisconsin, accessed April 25, 2019, http://recollectionwi.org/items/show/21.